College Degree: Is It Necessary for Freelance Writers? Browse a few job boards, and you’ll probably see that a lot of postings ask that you have a college degree before even considering sending off your application. Many times, the minimum qualification for a college degree is just another means to assist recruiters with funneling through vast amounts of prospective applicants. Is a degree in English or Journalism necessary to catch the attention of potential clients? When it comes to a freelance writer, is a degree in English or Journalism necessary to catch the attention of potential clients? This answer may be surprising. When searching for freelance writing jobs, it’s essentially first to determine what prospective clients are looking for in a writer. Unless you’re applying to write research-based, scholarly articles, a college degree is probably lower down on the list of desirable attributes than you may think. A must-have quality that clients are looking for in a writer is reliability. Your clients want to know for sure that you will deliver thorough, accurate assignments on time. Clients don’t want to worry about their writers making deadlines. Prospective clients also want to know that you are capable of churning out quality work. Similar to any other job, for someone to want to pay you for your work, you have to show that you are capable of producing a quality product that will not disappoint. Keep in mind that unless you are an expert in a niche field or already very famous, clients won’t be knocking on your door begging you to write for them. You’ll probably have to go out and hunt for writing opportunities yourself, so expect to put in some effort attracting clients to the skillset you have to offer. There are several other ways for you to prove your worth. Having a degree certainly helps, but it isn’t always necessary. Degrees take years to complete, so they show that you can make a long-term commitment to following through with tasks that you have started. Having a degree also hints to a client that you have written a quite a few papers in your life and that you probably have at least a reasonably stable grasp on language and grammar skills that help you determine the difference between a semi-colon and semi-truck. For the most part, though, degrees are just pieces of paper that aren’t necessarily going to sway potential clients in your favor. Having proof that you are capable of creating quality work is going to attract clients more than a degree. If you have never written anything before, why would a client want to hire you to draft a speech or blog post? To attract the clients you want, you have to build up your portfolio with quality samples from every field that you are interested in writing for (keep in mind that if you plan to add work that you’ve created for someone else to your portfolio, you need to get permission beforehand!). If you haven’t been hired to write anything yet, don’t fear, you can still create a robust portfolio. You can write “on spec,” which is another way of saying that you can create writing pieces “for free.” In this case, you are your own client and are creating engaging content that will help you attract your next paying client. Having an easy-to-follow track record is a sure way to attract potential clients. Online job sites give clients a great way to gauge a feeling of your background and experience. These sites usually display information regarding how long you have worked for them, how many hours you have logged, and even indicate an estimate of how much you have earned. If you haven’t done any paid work yet, that’s okay, just prepare to humble yourself a little by working for a lower rate so you can score some gigs that will give you valuable experience and help you build a credible track record. You can also get creative. Ask friends, or even your mom, to hire you to type out basic recipes or short blurbs for them so that you can start adding to your job history. Any experience you can get is valuable, so reach out to friends and fellow freelancers who will allow you to guest-post on their blog. Spend some time browsing the Internet, and you’ll see that there are plenty of freelance writing opportunities out there, you just have to do some digging to find them. Be patient, you probably won’t hear back from every opportunity that you apply to because it is often unclear what better qualifies you over another writer for some of these possible job postings. Keep pitching to listings that you are interested in and don’t get discouraged if your pitch goes unanswered, tons of new projects pop up online every single day. Before eating at a restaurant or going to see a movie, do you ever like to check reviews to see what others are saying about their experience? Potential clients are the same way; they like to know what others have to say about your writing and what it is like to work with you. If you make a good impression on some of your first clients, they’ll probably be willing to write a glowing testimonial for you. You can quote the positive feedback that you receive to attract other prospective clients by displaying it on your blog or personal website, or even in a portfolio section on freelancing sites. Joining an association of writers in your field is a great way to show clients that you take freelancing seriously because it displays that you are interested in connecting with other professionals in your field and keeping current with industry trends. In Canada, you can look into groups such as the Canadian Freelance Union and the Canadian Association of Periodical Writers. Even if you’re not in Canada, each country has groups similar to those that you can seek out and join. As a freelance writer, you become your own brand so it is important to always put out a polished and professional image. Similar to other industries, it is important to “dress for the job you want” through both your online and personal appearance. 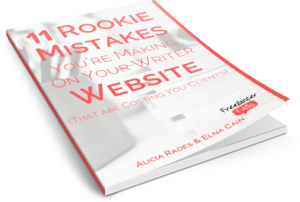 If you have an unattractive, sloppy, and typo-ridden website, what kind of message is that sending to prospective clients? No matter what you are doing, it is important to be as error-free, timely, engaging, and honest as possible. As you can see, there are a variety of ways to prove to clients that you are a freelancing writing professional. Of all the points listed above, it is important to note that the least significant factor to potential clients is whether or not you have a college degree. It may take some time, but through consistent effort, you can build a portfolio and personal brand that lets clients know that you are a reliable and engaging freelancer. Tell us whether or not a college degree has helped land more work as a freelance writer! Dakota has been published on a wide-ranging spectrum of respected sites. His writing inspirations are drawn from the areas of saving/making money, goal setting, technology, investments and beyond. Thank you for writing this article, Dakota! I have noticed a lot of job ads looking for a person with a degree but didn’t think much about it until I saw your article on Facebook. To be honest, I have an associate’s degree but not in creative writing or journalism. (It’s in Criminal Justice Technology.) I’m glad I don’t have to have a degree to make it in the freelance writing world since I do have clients who didn’t care that I don’t have a journalism degree. Thank you for debunking this myth for so many new freelance writers!